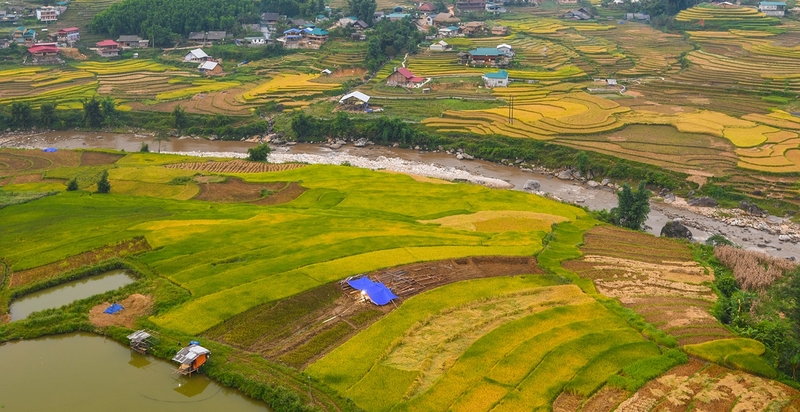 Around 3,400 from over 50 countries and territories were treated to breathtaking vistas in Sa Pa Town last weekend. 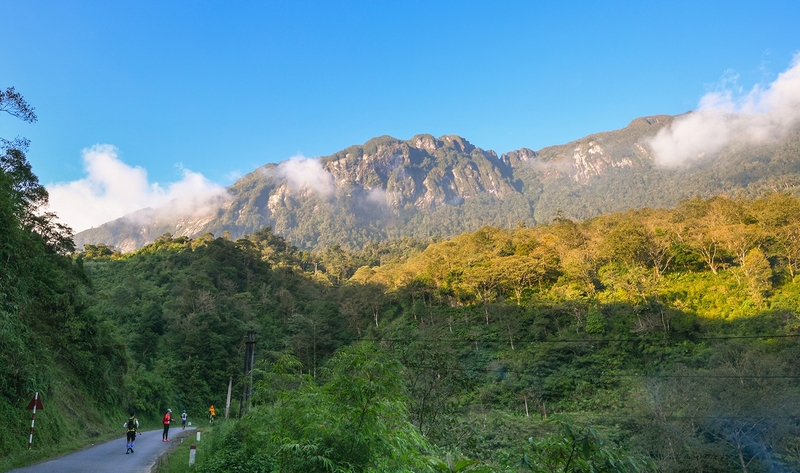 They made it to the mountainous town of Sa Pa in northern Lao Cai Province to run the September 21-23 annual Vietnam Mountain Marathon 2018. 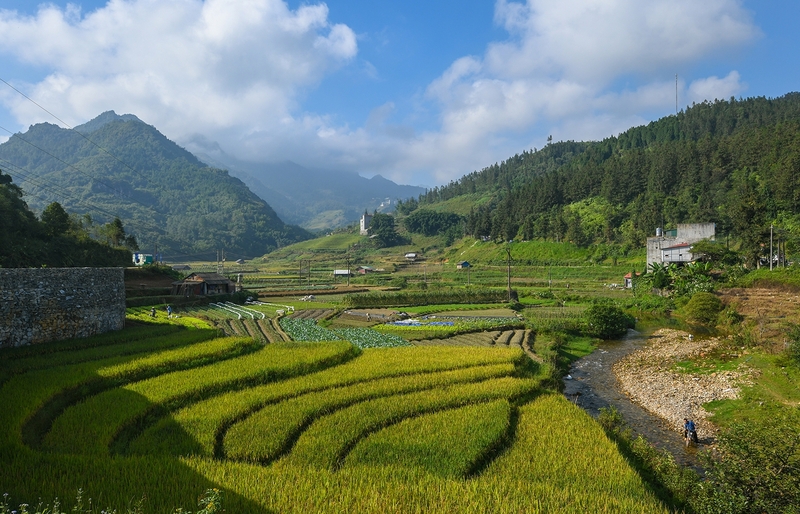 The timing of the race, September, coincides with the rice harvest season in the northern highlands, the best time of the year to watch ripened rice plants glisten golden yellow. Participants had the choice of running the 10, 21, 42, 70 or 100 kilometer race. 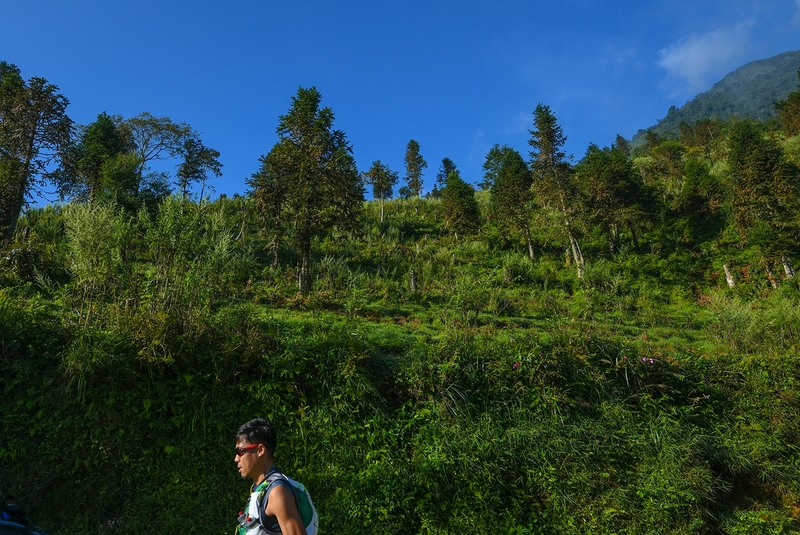 Those braving the 100km ultra marathon showed up at the starting point at 10 p.m. on Friday and ran overnight through tough trails and mountainous terrain. 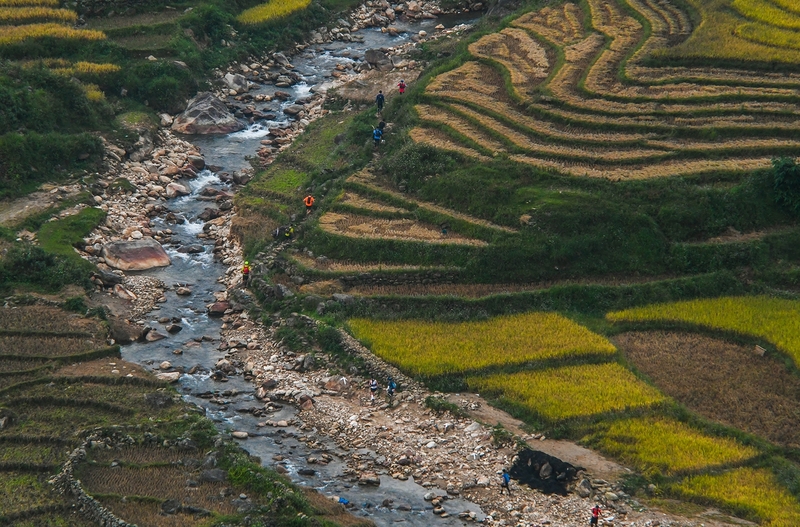 The shorter races began in the wee hours of Saturday morning, allowing them to run through terraced rice fields and ethnic minority villages. Many runners said they were joining the race for the chance to take in the scenery, breathe fresh air and enjoy a new experience. 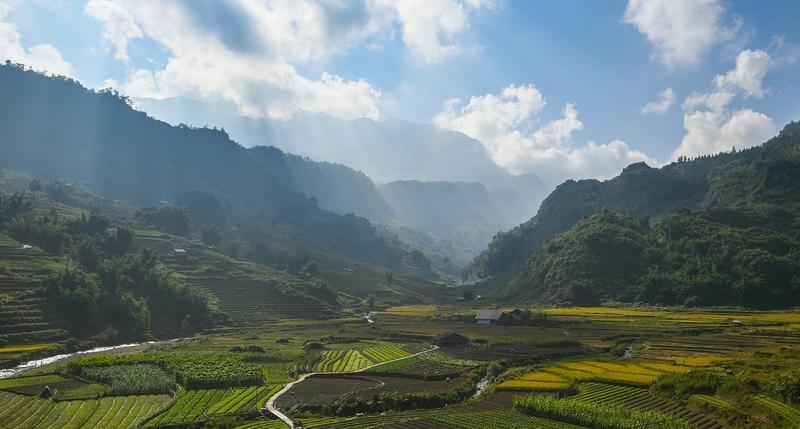 Sa Pa’s rice terraces have been hailed as one of the most mesmerizing scenes on earth by the New York-based Travel+Leisure Magazine. Last year, Tran Duy Quang became the first Vietnamese champion of the event since it was first held in 2013. He won the men’s 100km category in 13 hours and 17 minutes, holding off competitors from the Czech Republic, Denmark, the Philippines and Thailand. This year, Vietnamese racer Nguyen Tien Hung won the 100km run, followed by Hisashi Kitamura of Japan and France’s David Fontaine. 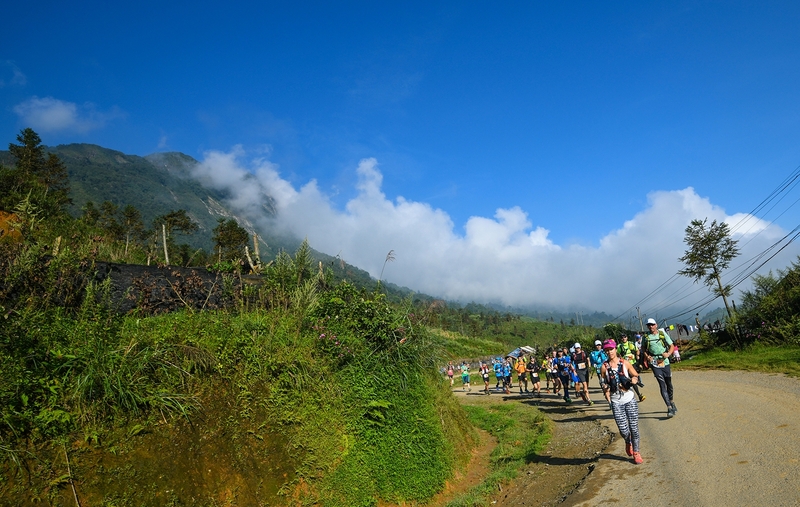 David Lloyd, director of sport for Topas Travel, the event’s organizer, said that the marathon has contributed to boosting tourism in Sa Pa and the northern mountainous region. Pictures and personal statuses tagged in Sa Pa made it the most searched keywords on social media networks like Facebook and Instagram last weekend, he said. 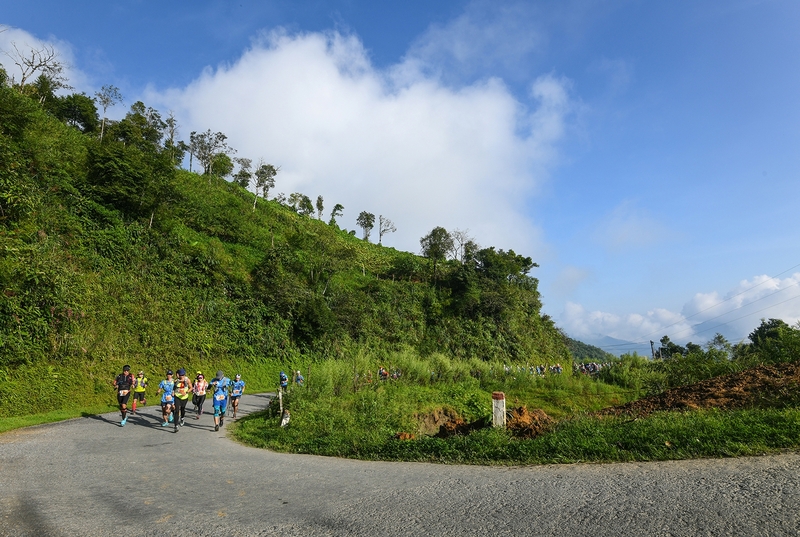 A runner goes past a sparsely greened hill in the 42km race from Quang Village, crossing Ta Phin and reaching Su Pan Village. The event’s organizers pledged to give more than $38,000 to charity organizations in Sa Pa, to Newborns Vietnam, a U.K. registered charity dedicated to reducing neonatal mortality in Southeast Asia, and to Operation Smile, a Virginia-based non-government organization dedicated to helping patients with lip and palate defects.